Piva Beer Spa lets you soak in suds—for your health, of course. If your interest in beer extends beyond tippling the odd pint of IPA at your local brewpub—way beyond—then perhaps Outliers has stumbled upon the right experience for you: soaking in beer. 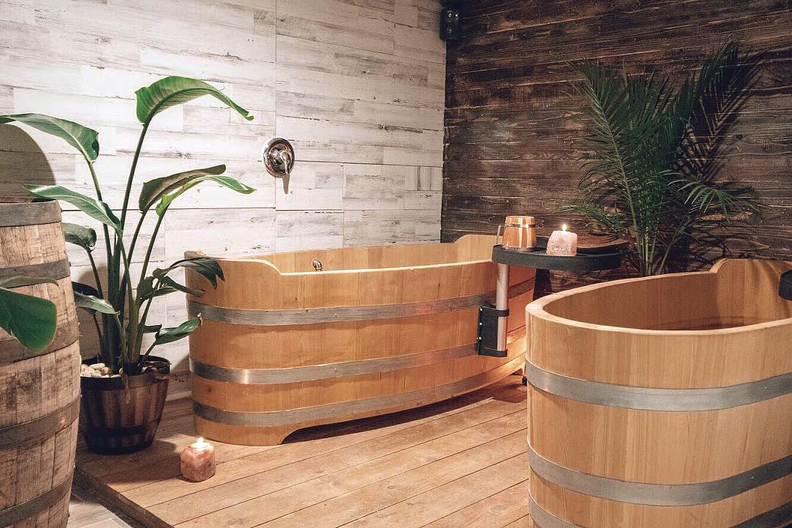 A new beer spa in Chicago—only the second to open in the U.S., according to Crain's Chicago Business—offers the opportunity to climb into a tub brimming with beer, water, hops and other brewing-related matter, a trend that's been building in Eastern Europe for a couple of decades. And it's healthy, according to Piva Beer Spa. The claimed rejuvenating powers of soaking in suds include improving damaged skin with “polyphenols that have anti-oxidant properties that help prevent and alleviate oxidative damage of cells, lipids and DNA,” according to Piva's website. The spa also claims its soaks are hydrating, and the treatment “exfoliates, softens, and improves elasticity of skin.” Other claims are that it helps clear up acne and conditions your hair. Oh, and just the smell of hops are supposed to be a natural sleep aid. If that doesn't sound like a big enough beer experience for you, one Austrian brewery offers a 13-foot pool brimming with beer. Cheers.